Every experience we create is designed to ignite the imagination and move people emotionally, leaving a long-lasting, unforgettable impression. Passion driven with high goals, we create with love and attention (and plenty of coffee or wine drinking in-between). We work in partnership with our clients to turn their dreams into highly immersive, playful, beautiful environments that inspire, engage and delight. We work hard to ensure that trust is the foundation in managing our projects and empowering our teams. Front and center in our creative process is a deep understanding of what inspires and delights people, ensuring our creations are ambitious, transformative and unique. We don’t employ staff; we empower our colleagues and work with people. We are proud of our people and our teams we are working with on our projects. We are humans who think, feel and become partners with the client, and we submerge ourselves into the project. The Attractions Group is a multi-disciplinary team made up of largely international staff, providing design services in the disciplines of master planning, as well as satellite studies in Europe conceptual architecture design, landscape architecture design, interior design, artwork consultancy and full scope design services for hotels and resorts, mixed-use projects, commercial projects, theme parks and water parks, special venues and residential projects. Established in 1993, Attractions International has designed and created world-class attractions, hotels and resorts, residential and mixed-use commercial projects on almost every continent over our 20-year history, with some of the world’s top brands including Sheraton, Fairmont, Shangri-La, Raffles, Intercontinental, Samsung, Sega and AD-LABS. 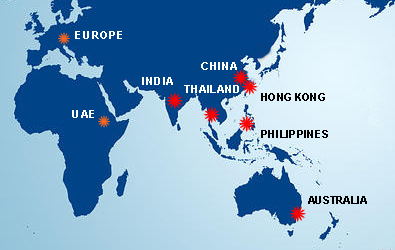 From our original European and Australian bases, our expanding client service now covers locations in Hong Kong, Shenzhen (China), Cebu (Philippines), Chiangmai (Thailand), Mumbai (India).